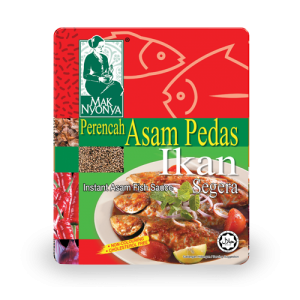 Onion, Lemongrass, Chilli, Spices, Ginger, Sugar, Galangal, Salt and Edible Oil (Palm oil). 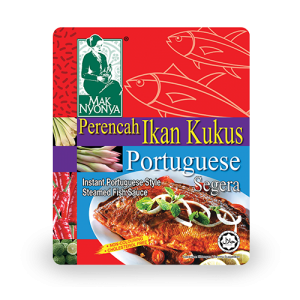 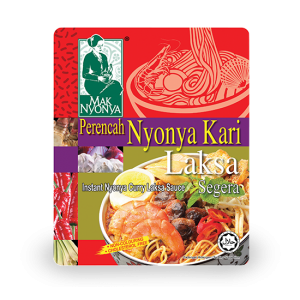 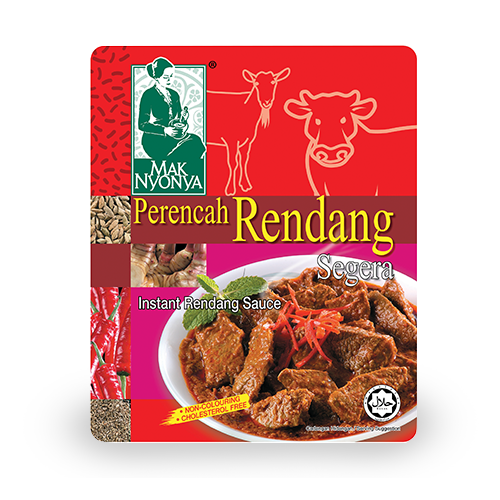 Sauté Instant Rendang Sauce with 1.2 kg of chicken or meat on medium heat until aromatic. 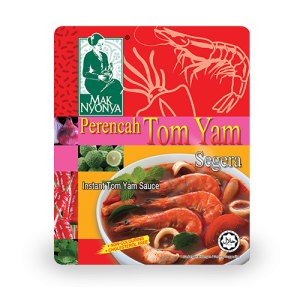 Add in 300ml water and stir-fry for 20 minutes. 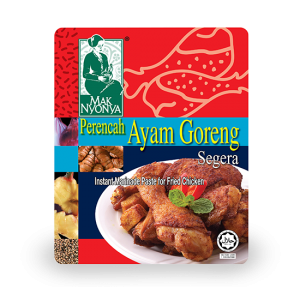 Lastly, add in 200ml coconut milk and simmer on low heat until the chicken are tender and gravy thickens.